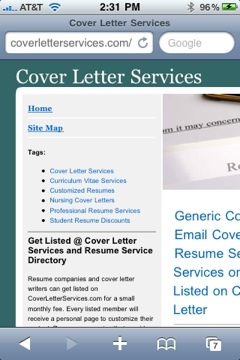 Ever since I purchased my first resume domain, ResumeServices.co, I have been actively searching for resume, cover letter and curriculum vitae domains. More than often, web users are utilizing the popular searches and reading articles on such sites. ResumeSteps.com, and others have performed well. on Christmas, and last well into the first week after New Year’s. domains are the top performers. will prevent freelance writers from capturing business. Domain owners and companies should look into up-to-date methods instead of depending on traditional advertising and SEO services. Why Park is a quality domain platform. Many domains are landing on Google Page #1. They haven’t been assigned a ranking, but they are consistently showing up on the first few pages. 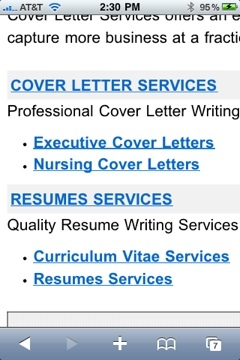 curriculum vitae (Cv) domains are going to perform good this year. In addition to ad revenue, the domains will net you money in the aftermarket. reducing the price another $100 may score a sale. But, I’m in no hurry to sell the domain. The final offer was reduce in half from the previous offer. I know that I’m being fair with the asking price, which has reduced to 33% of the starting price. I received a second counter offer on the cover letter domain. Early last week, a private party made an offer on a cover letter domain. The counter offer is nowhere near what I’m looking to make on the domain. I’m in no rush to sell the domain. However, the buyer is still interested in acquiring the domain. Once the private party reaches my minimum amount, I will accept the offer. Until then, I plan to stay within the price point. I devised a strategy to demonstrate my interest in keeping the deal alive. I don’t mind the negotiation process, especially when it involves a good domain. I believe the domain will be worth the amount I’m asking in the next year. Four web directory listings can net close to $600 per year. The buyer has to increase their offer in order to acquire the domain. I’m withholding the domain name until a deal is reached. I will keep you all posted. Thanks. I prepared an article on Resume Campus for students searching for an education path. Online schools and traditional schools are similar in many ways, but they are also different in most ways. You have to know what obstacles and challenges to expect when attending the two formats. Resume Campus is quickly becoming one of my most popular websites next to EmpireStateHotel.com and MobileMovies.info. I was able to build traffic on the site in the matter of a month through writing popular articles. I intended for Resume Campus to represent a student center for resumes, cover letters, and employment. However, the website has such a cool name, I’m experimenting with various articles to drive traffic over to the site. It has worked rather well, because the site never produced any traffic until I took the initiative to write keyword rich articles. I plan to experiment with my other sites, as well. I own 780 domains, so I can’t write content on all the sites, though I can choose the ones that generate the most traffic. The following websites have done good with traffic. They have made back the cost of registration in a matter of a few months. I think they are popular niches with potential. If you own a domain with a cool name, write articles on popular fields to build traffic. People will find your articles, and then you can build a following. Good luck!